As its name implies, Honeymoon Island is a paradise, to be explored, enjoyed, and the tranquility absorbed! Wilderness Graphics added to the appeal of this stunning site with the development and installation of engaging exhibits at Honeymoon Island State Park. A collection of multifaceted exhibits now offers visitors an overview of the natural and cultural history of this beautiful Gulf Coast region. A mesic flatwoods diorama includes replica osprey and gopher tortoise nests. Two mini dioramas display a replica shorebird habitat and a cross-section view into a sea turtle nest. 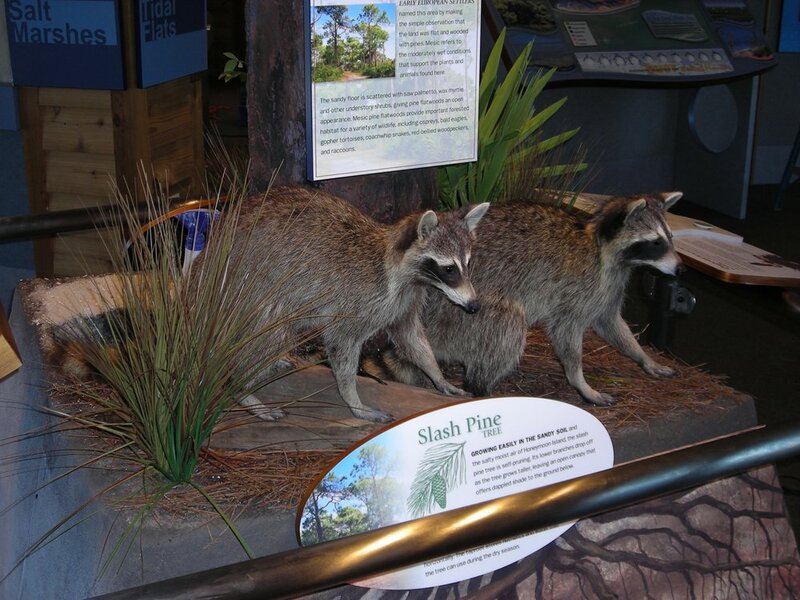 An interactive audio exhibit highlights some of the wildlife you may see, while dynamic video presentations explain the nature of this delicate barrier island system. Unique exhibits also detail the cultural history of the area. Historic photos from the island’s early years are displayed on the facade of a Honeymoon Isle thatch hut from the 1940s. A children’s touch table, “Myrtle’s Treasure Chest,” highlights a long-time resident as well as some of nature’s “treasures” found on park beaches.